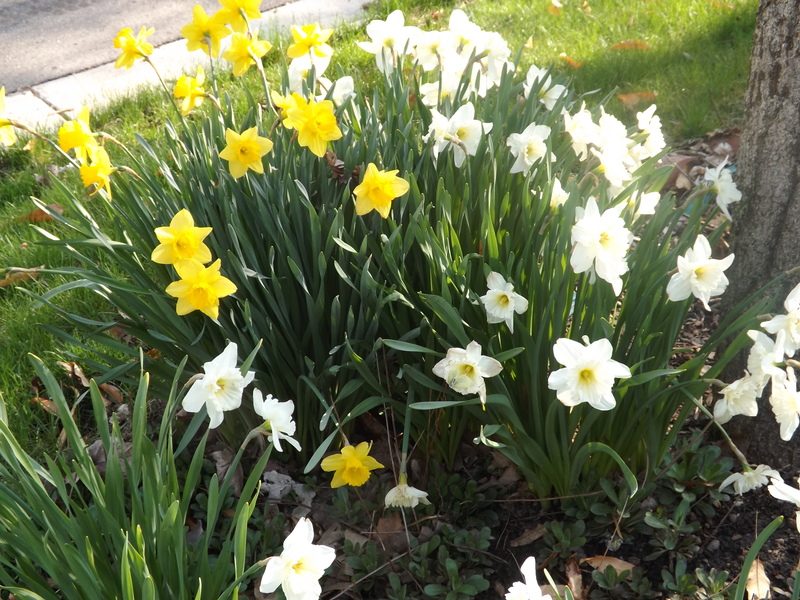 It is a beautiful Spring day in Lansing Michigan. 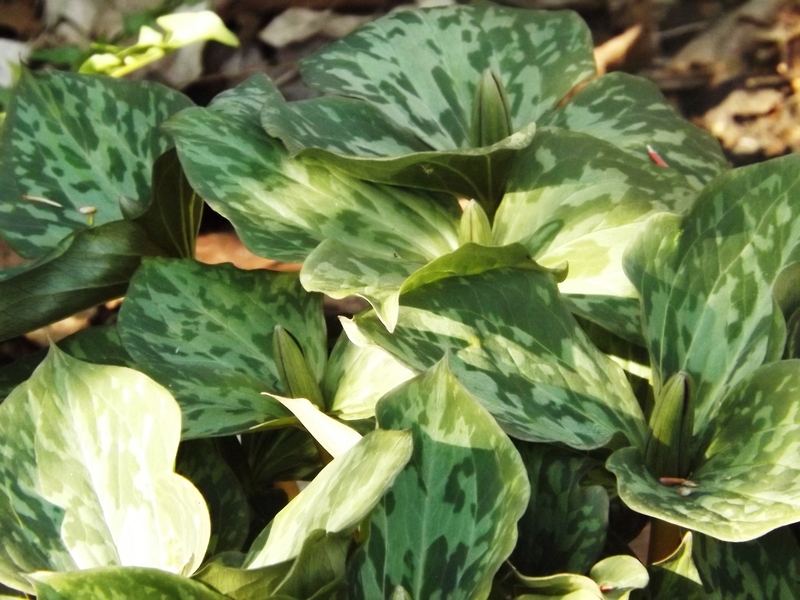 I had to go outside and take a few pictures of the garden. 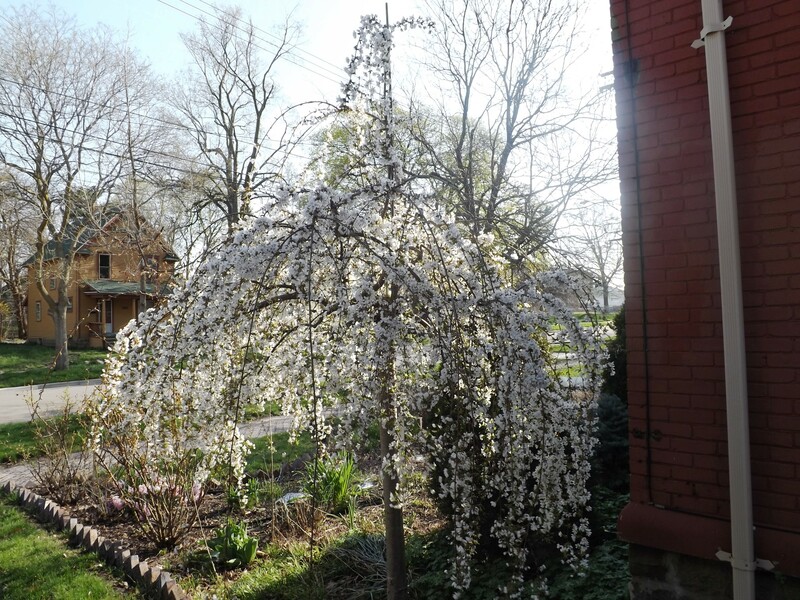 the weeping Cherry is beautiful!…I wish its flowers lasted longer. I have so much yard work to get done! 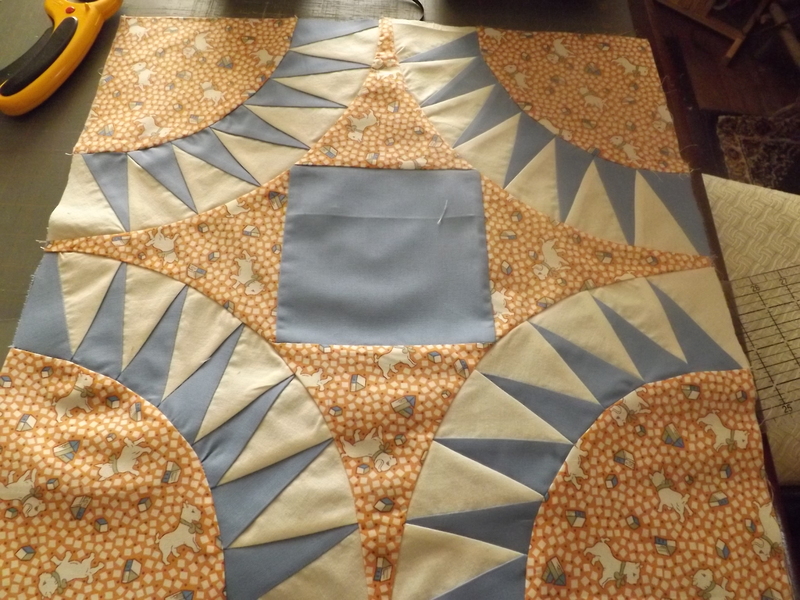 But I have been obsessed with this Suspension Bridge Quilt I have been working on. I have three of these blocks finished. So back to the drawing board (I don’t always get it right on the first try). I think a good part of the fun is in figuring out how I want to do it. 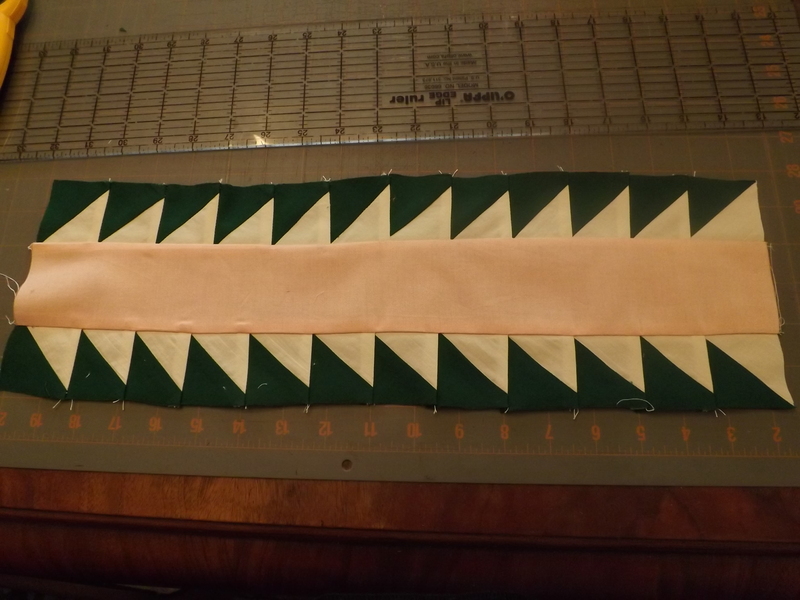 I decided to go with square pieces….so using the same method, I sewed strips of fabric together. 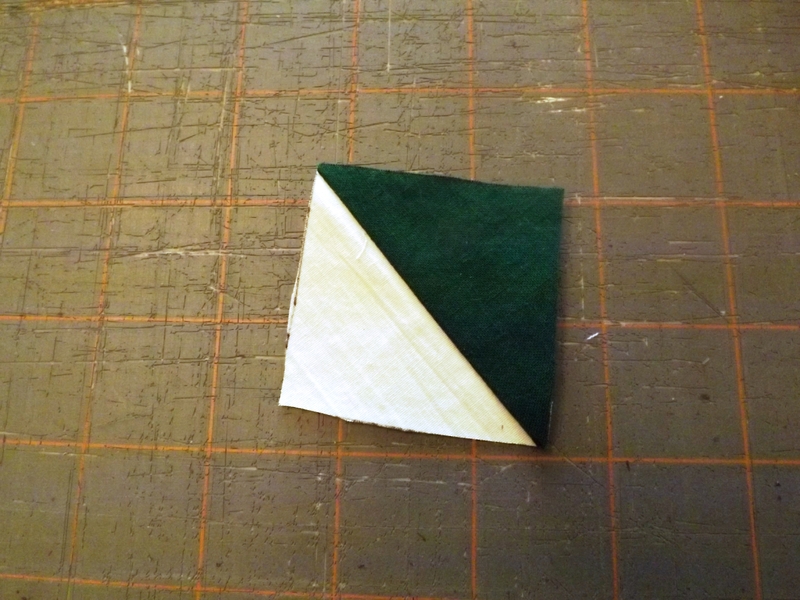 and cut out the squares (2″) with the diagonal of the square along the seam line. 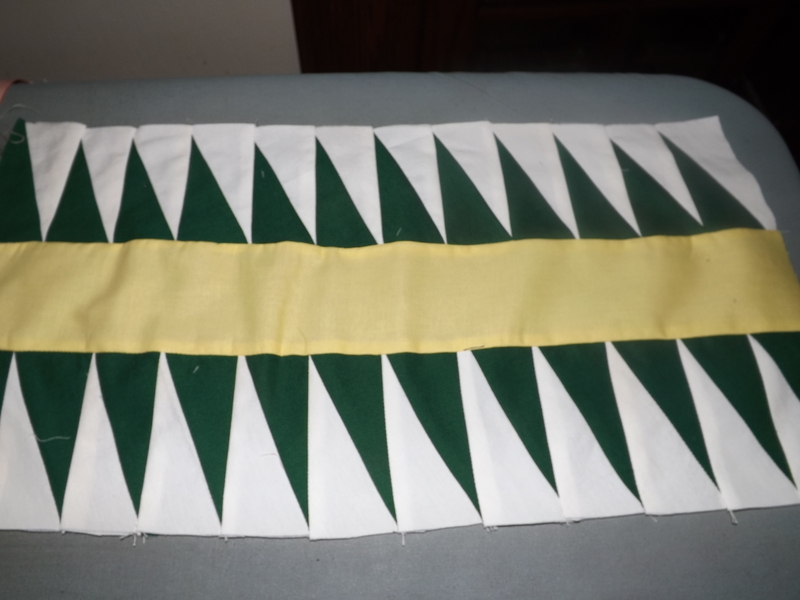 12 squares will make 1/2 of the sashing. 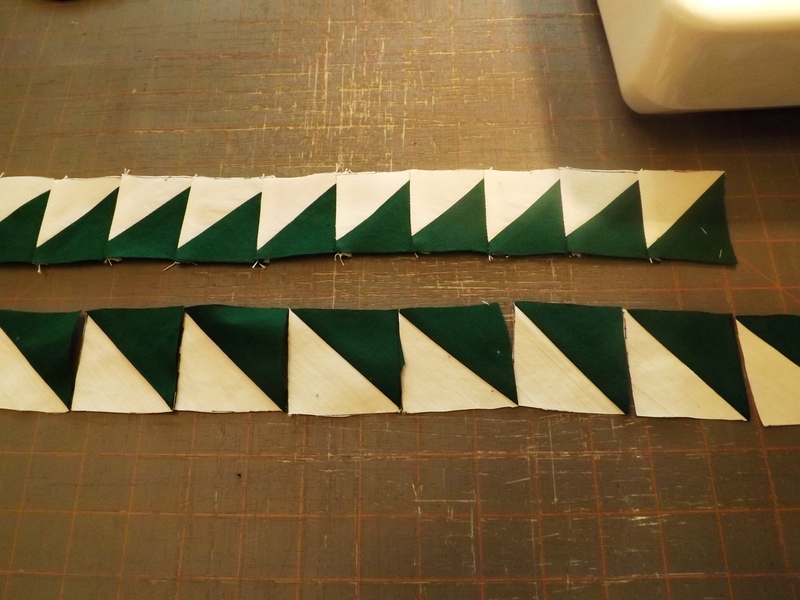 It helps me to line them up in the right direction before sewing together. Next I added the center strip. I cut that at 3″ wide. and then I join the sashing pieces between the blocks. I will make 12 blocks. And I will need 20 corner stones and 31 sashing pieces and that will give ma a quilt about 74″ x 97.
the rejected sashing next to the real one. 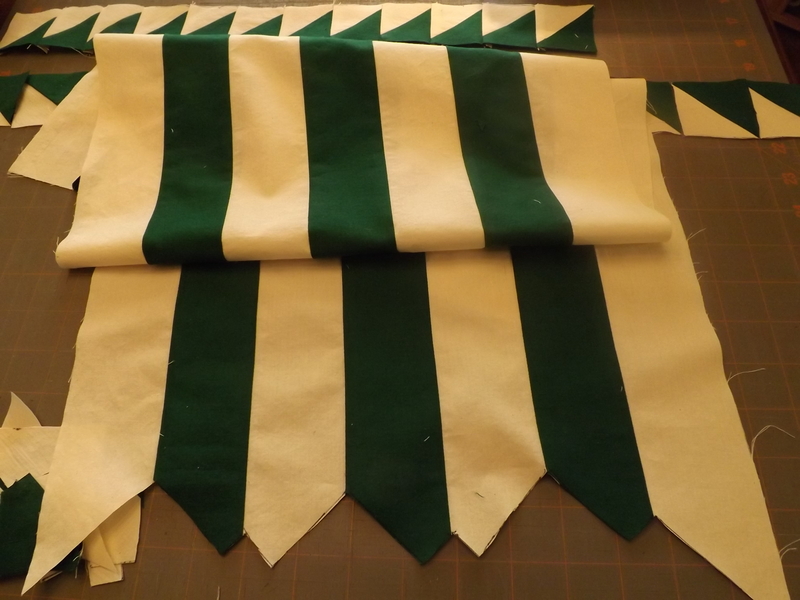 Each block will be different fabrics and the sashing will all be the same to tie it all together. Happy Quilting and Happy Spring! 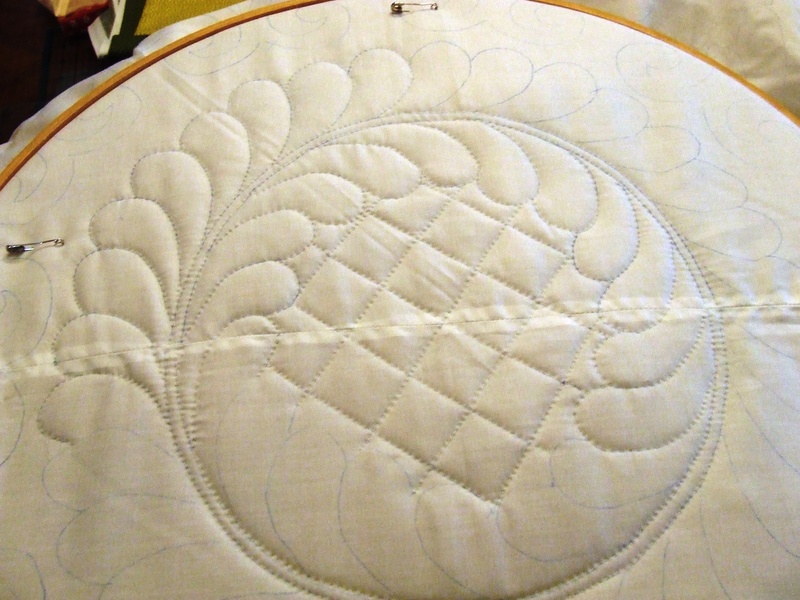 This entry was posted in Garden, Quilts and tagged Quilting, Quilts, sashing, spring flowerrs, susension bridge piecing. Looking good! Nice spring yard! We’re expecting snow today……on May Day! 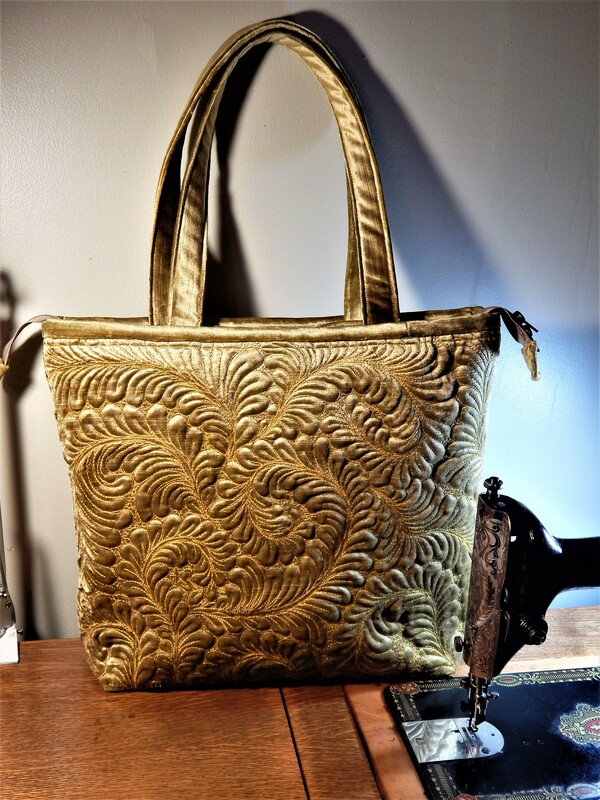 Another awesome project! Looking forward to seeing more on this one. Pretty colors. 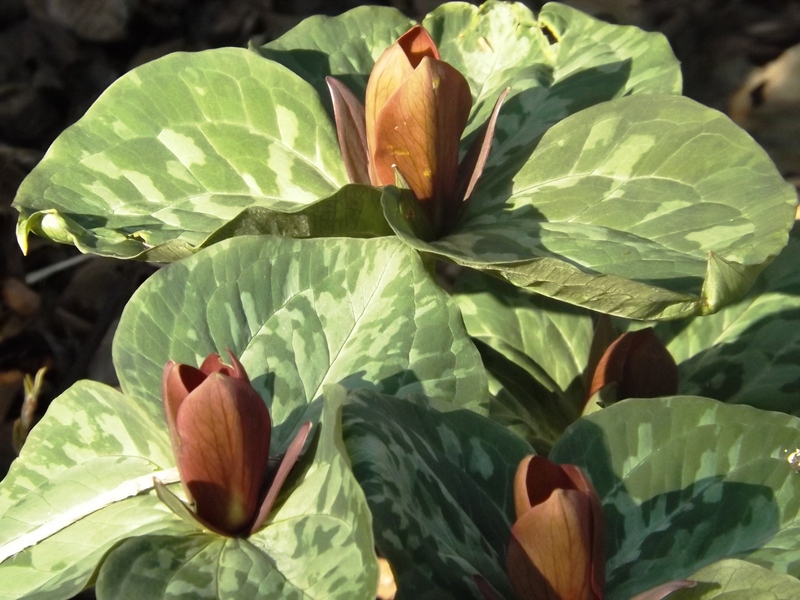 Fun to see all the flowers popping in the garden too. This is fun to watch! Your quilt looks vintage and modern at the same time. this quilt will look awesome. I also love your gardens. Flowers are beautiful. Quilt is awesome. Missed seeing Teddy! Wow! I like this quilt better each day. 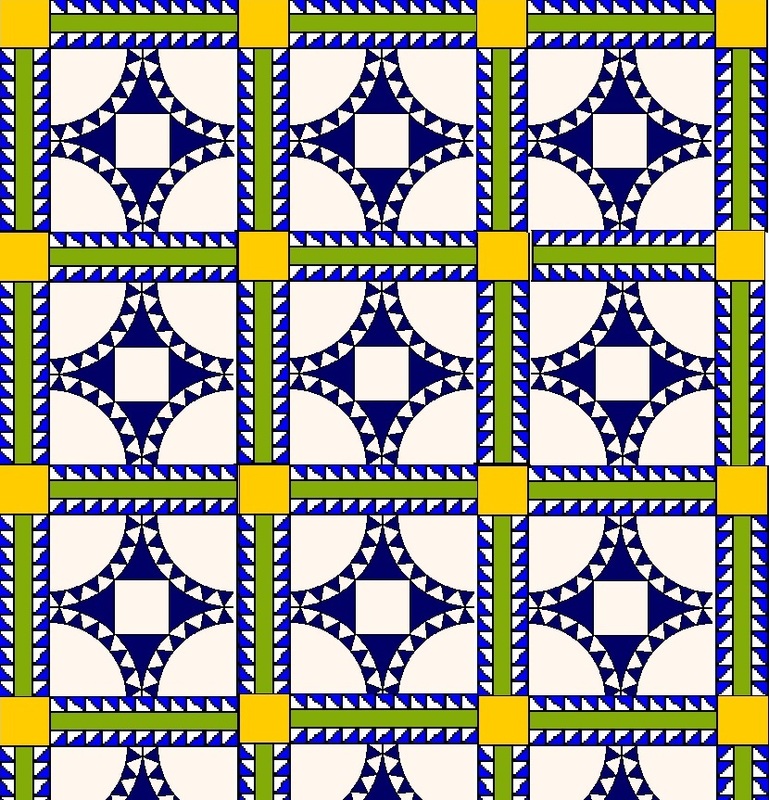 Your methods get me to thinking about how to make patterns. I am looking at Scottie dog patterns now. (think Teddy) I don’t have a plan as yet. WOW….I have been looking at those scottie dog patterns for years, and I just cant find the right one for me…I am going to do it some day! 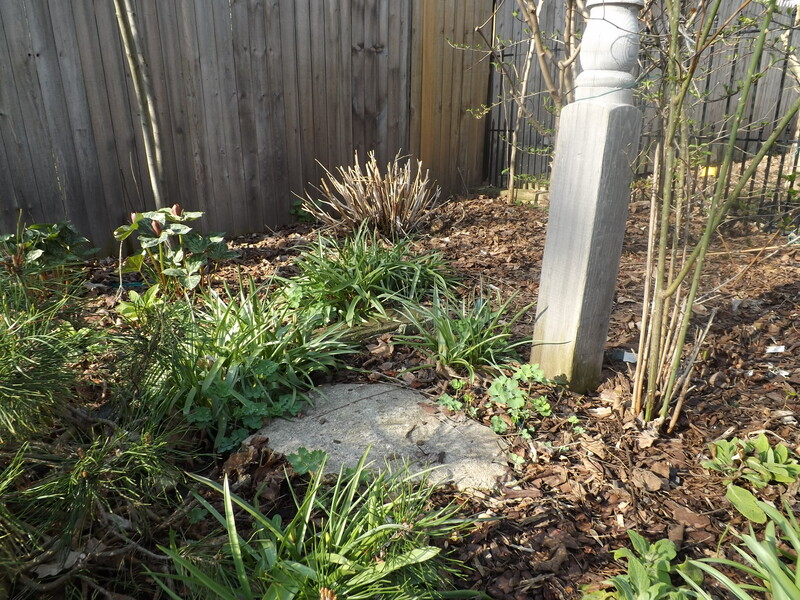 Tim, you need a “secret garden” area where you and Teddy can sit and quilt while enjoying the garden. These new blocks are ooh-la-la pretty! 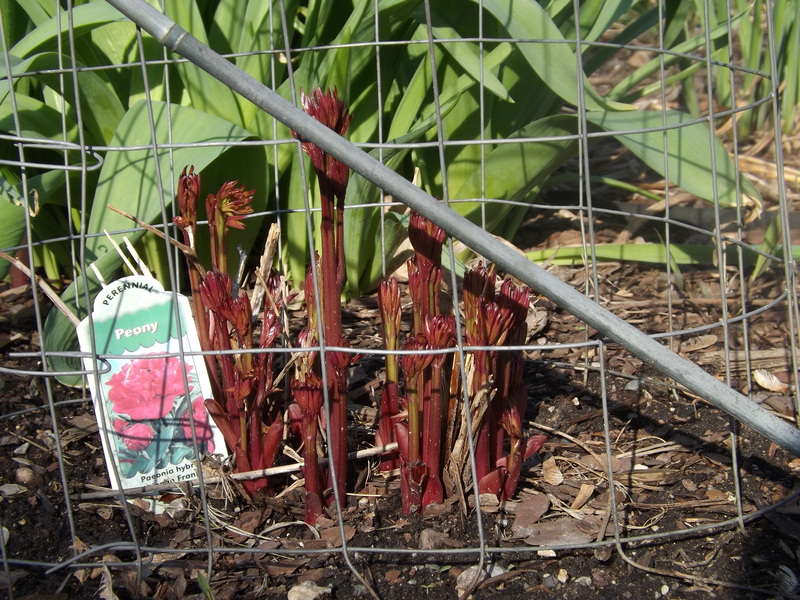 Your garden is gorgeous and you hand quilting is stunning. I really love the Suspension Bridge blocks too! 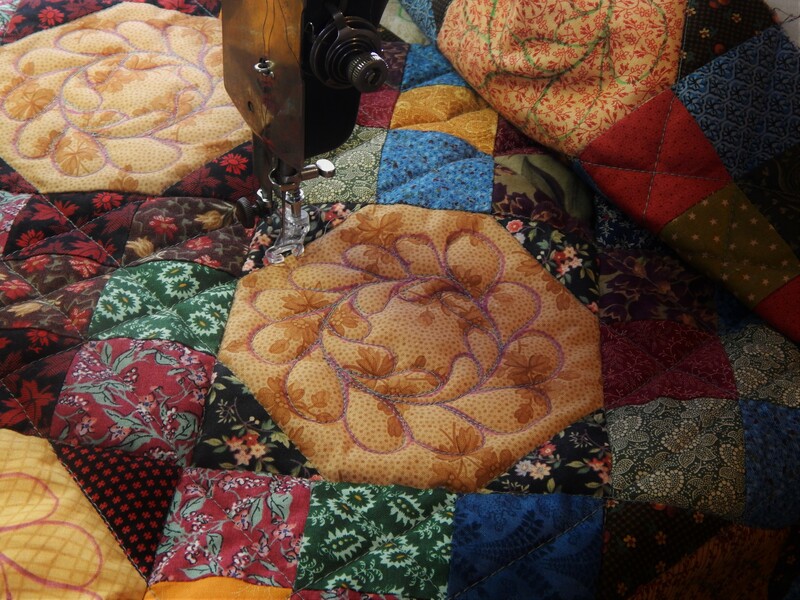 What a lovely quilt to work on in the springtime. The pull between inside and outside is strong. I’ve decided that machine piecing will take priority over anything else on rainy days, but to just let it go when the weather’s like today’s. 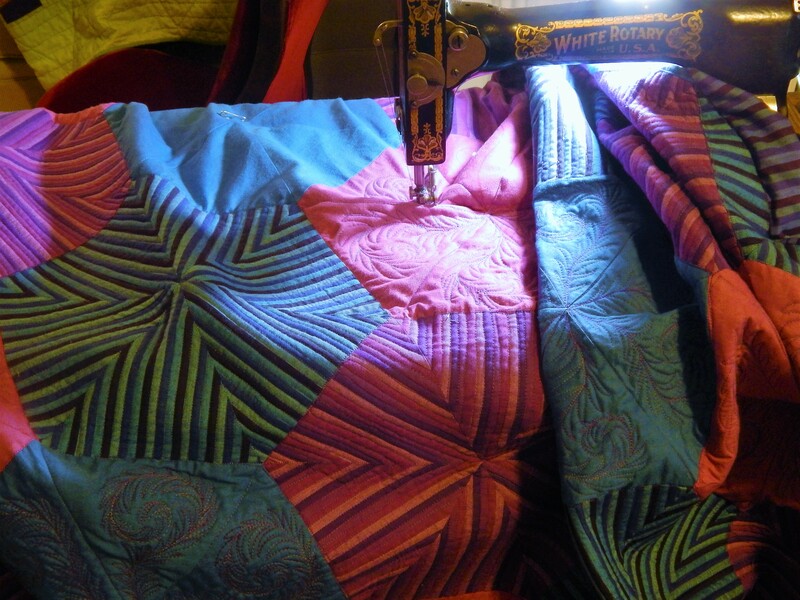 I am looking forward to quilting outside during these longer evenings, though. 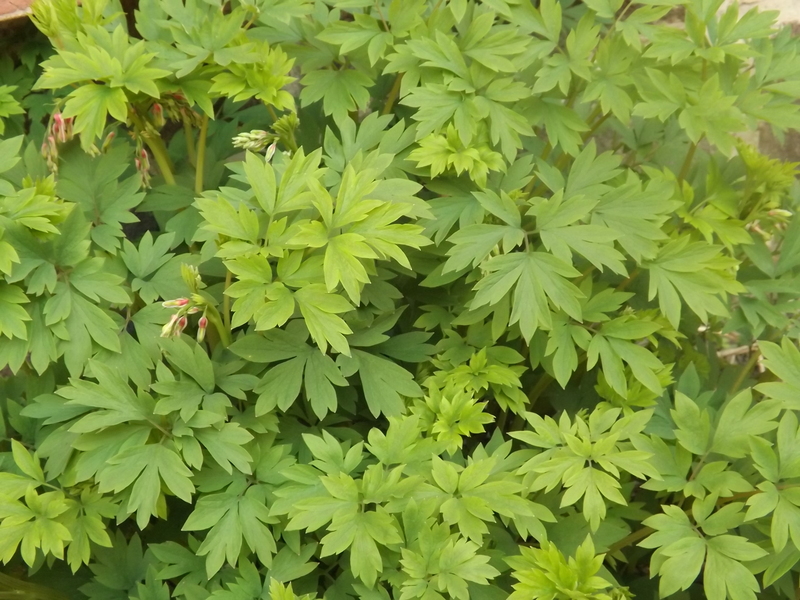 I’m hoping to learn a lot about gardening through your pictures this year. 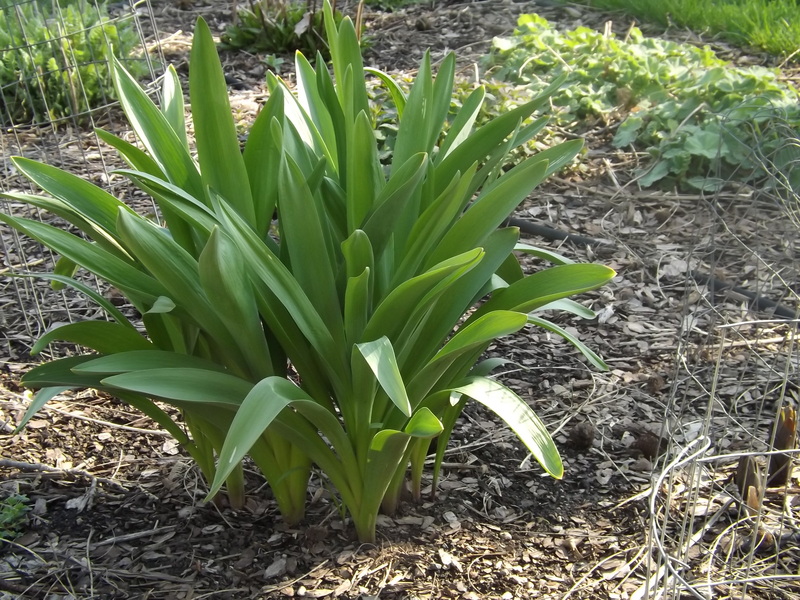 Your garden is lovely……and I adore the wonderful smell of hyacinths! And that sashing looks fantastic! 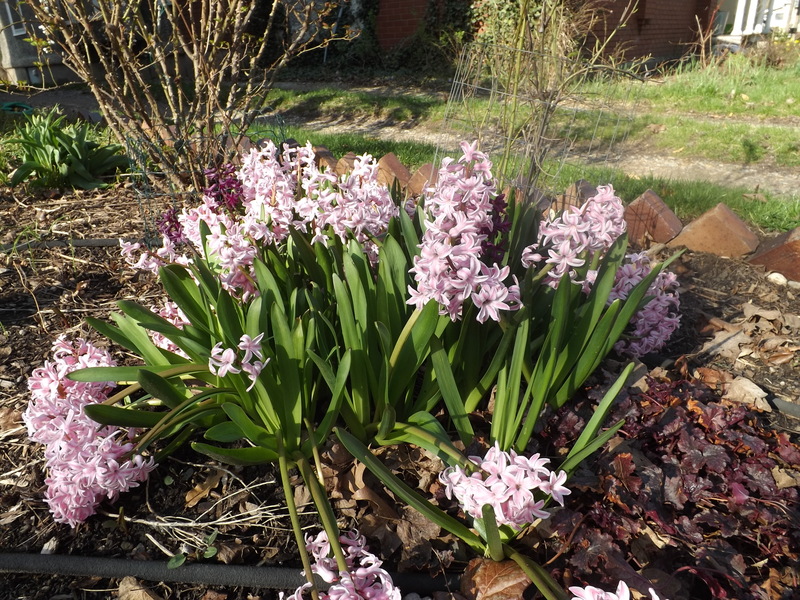 thanks Regan…the hyacinth make me want to stay outside all day!….but the robin nesting nearby doesnt like me to linger too long! Like most quilt blocks it has many names….different newspapers and publications printed the same patterns but changed the names…..this one Is Suspension Bridge from the Ladies Art Company, but was called Sunflower by the Kansas City Star, and Broken Circle by Clara Stone…and I modified the design…so it is not really any of the above, But I am still calling it Suspension Bridge because I like the name…. Oh Tim, your garden is exquisite,. 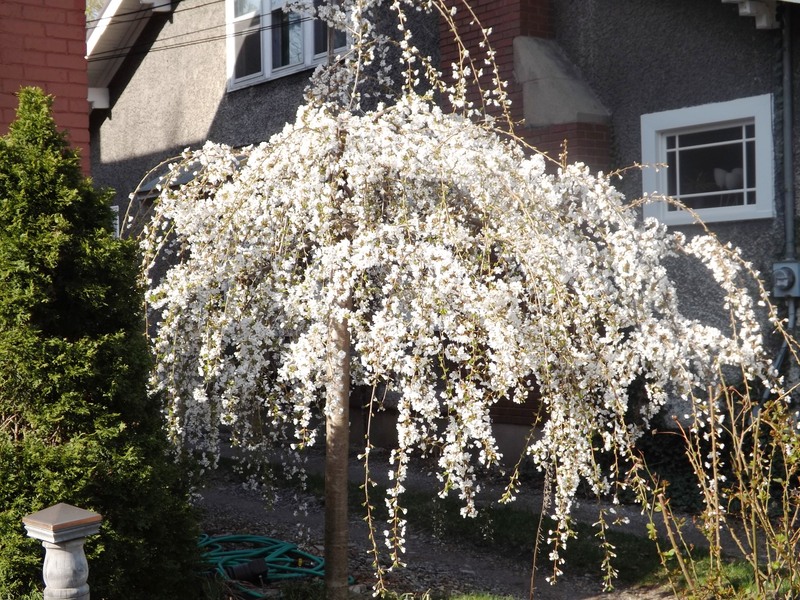 I especially love the weeping cherry. Thanks for the tour. Everything’s beautiful. 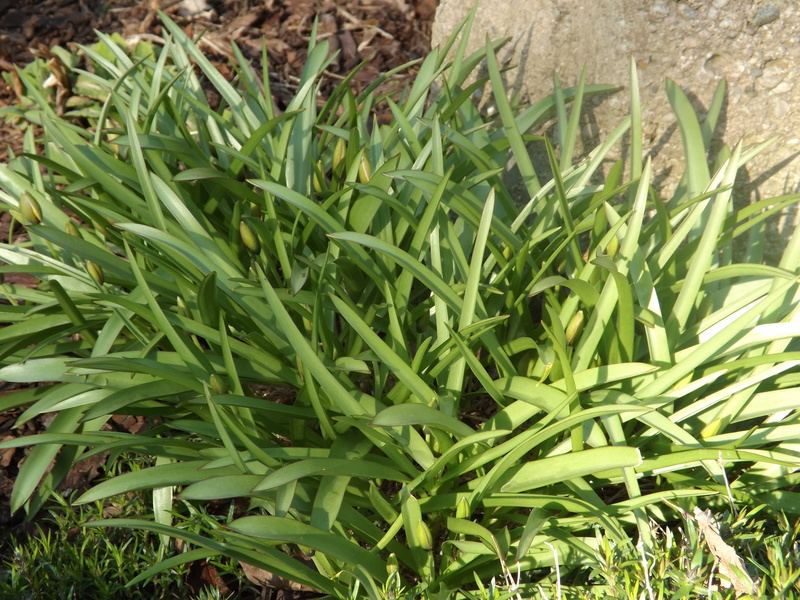 it is starting out well….hope it continues!